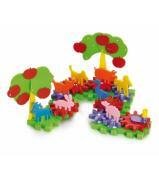 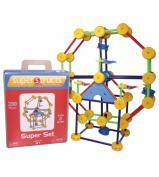 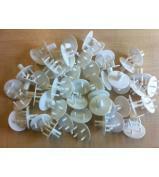 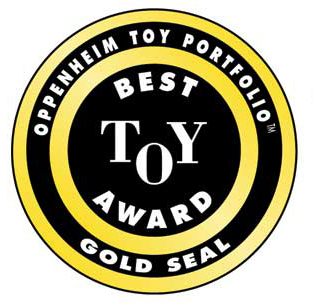 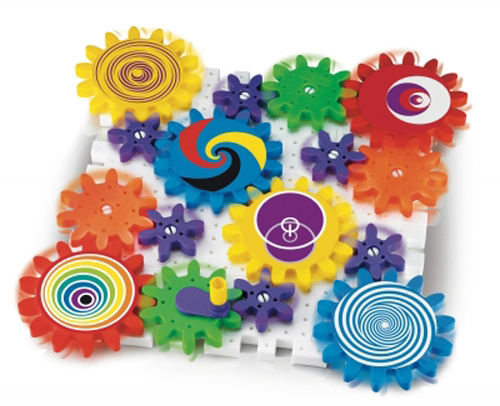 This is an ingenious construction system that stimulates children’s creativity while it teaches simple mechanics. Children will have fun exploring ways to combine the colourful variety of pieces: square plates interlock easily to form flat or 3-D structures; meshing gears create exciting movement in a spectacular chain reaction. 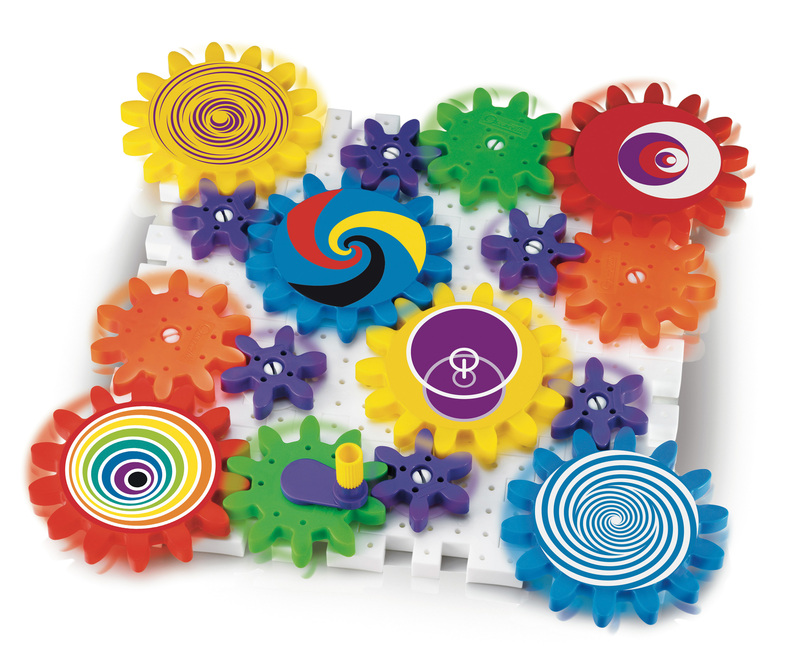 Each gear is decorated with a different design that stimulates colour perception and recognition. 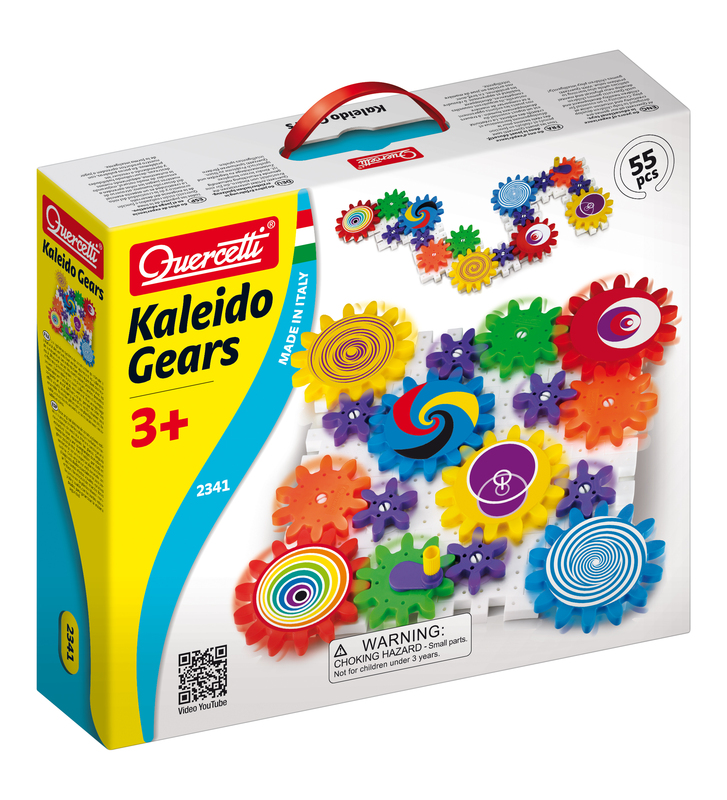 KALEIDO GEARS is made of soft, washable plastic, totally safe and unbreakable.